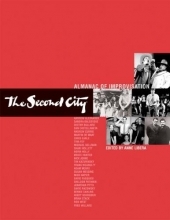 Libera, Anne, Second City Inc. Some of the diverse teachers, directors, and actors who got their start at The Second City comedy theater share their ideas, viewpoints, and memoirs in a volume that looks at the careers of Tina Fey, Fred Willard, Jeff Richmond, Andrew Currie, and many other alumnae. Original.